It’s a week before the deadline. Your team is working through the night, eager to land their changes as quickly as possible. Your teammate, Jake, was feeling frazzled as he was trying to fix all the issues that had been filed on his review request. He’d just finished the issue you had filed and marked it “fixed.” Shortly after, another teammate files a new review with a “Ship It!” Breathing a sigh of relief, and eager to go home, Jake immediately lands the change. It wasn’t until after the release of the product that you realized Jake had missed something important in your feedback. While his change had fixed the bug, it had broken another feature. You hadn’t had the chance to look over his change after he’d fixed it, since you were busy and it had fallen off your dashboard once it landed. If only Jake knew you wanted to take a second look, the release would have gone a lot more smoothly. With Review Board 3.0, you can prevent this from ever happening again. We’ve added a new feature, Issue Verification, which keeps issues open until the reviewer has a chance to verify the fix. 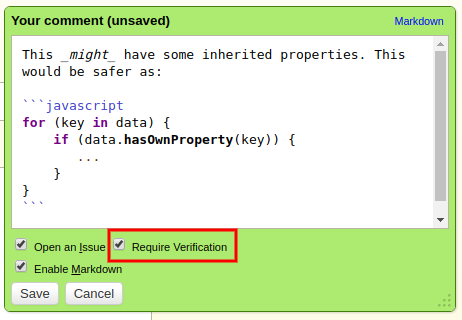 You can activate this feature by checking the “Require Verification” box when opening a new issue. Once the owner of the change resolves the issue as “Fixed” or “Dropped,” the status will change to “Pending Verification.” At this point, the issue is still considered open. It will be up to the reviewer to look over the fix and click “Verify Fixed” before it can be closed. Filed a Ship It! prematurely and wish you could take it back? Now you can with Review Board 3.0’s new Revocable Ship It! feature. 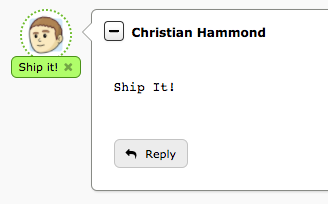 The “Ship It!” label on any reviews you file will now have a little “x” button. 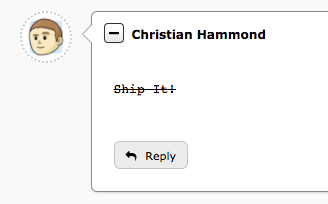 Just click and confirm that you want to revoke it, and the review’s “Ship It!” tag will be removed, with the “Ship It!” text crossed out in the review. These new features will help ensure that important reviewer feedback is addressed and that an unintentional or outdated “Ship It!” review no longer lets changes into the codebase prematurely. These features have been requested by many of you, and we would love to hear if they improve the review process for your team! One of the highlights of the recently release Review Board 3.0 is our new integration with Slack. Projects and companies around the world use Slack for communication and collaboration within their teams. It also hooks into third-party products and services to provide live updates in chat. 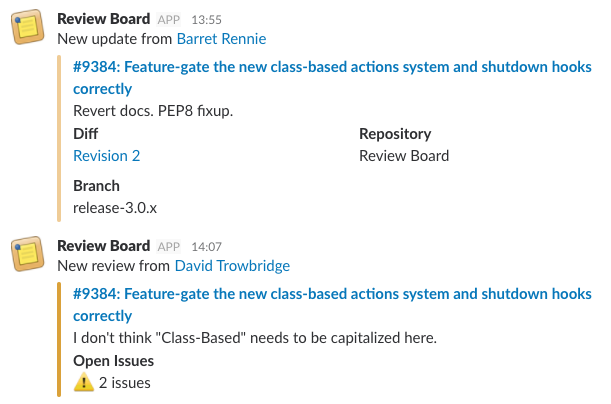 By enabling the Slack integration in Review Board 3.0, you will be able to keep your team informed of discussions and updates on review requests as they happen. You can create as many Slack configurations as you need for your company. Each configuration can be customized based on your needs. For example, review requests for different groups can go to different channels. Those containing sensitive information such as security fixes can be filtered out entirely. Now you’re ready to customize your configuration by adding conditions. By default, a Slack configuration will post all discussions and updates to the channel. If you want to limit what’s posted, you can add one or more conditions to your configuration. These will operate off the data in the review requests being sent to Slack. You have a lot of options when adding conditions. You can include or exclude messages depending on the review groups, repositories, summary and description content, branch field, and more. Custom extensions can even add new options, giving further control based on data and logic provided by the extension. We hope this new integration will be a big help for your team members and your company as a whole. This has been a highly anticipated feature for some time now, requested by many of our users. We are excited to finally be able to bring it to you!